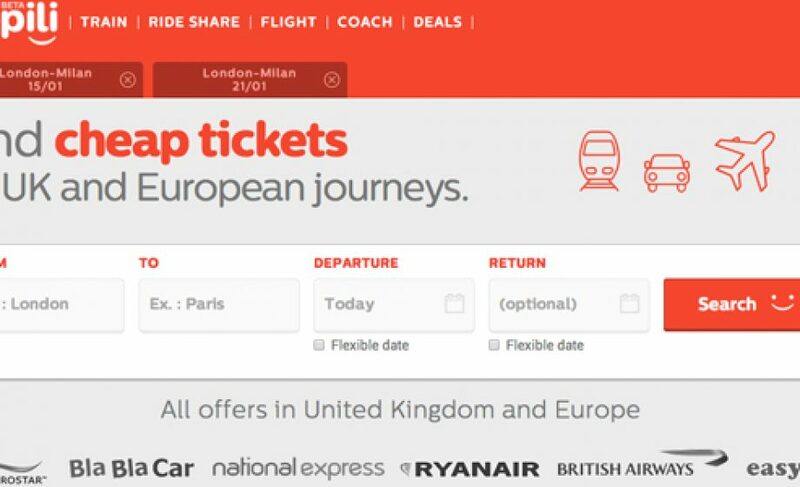 In just under five years, Kelbillet has grown massively from a site to sell unwanted train tickets to become the leading travel search engine in France. Unlike sites like Expedia, Travelzoo, Travelocity or even SNCF, Kelbillet’s biggest strength is that they help you figure out how to get from point A to point B domestically on more than 80k journey options, often as cheaply as possible and taking into account various types of transportation options (train, rideshare, plane, and buses). Now Kelbillet will bring their highly successful model to the UK with the launch of its new brand Gopili. While Gopili will first be launched in the UK, it was conceived as a pan-European platform, so the UK is a mere first step. However, focusing first on the UK market makes a lot of strategic sense for Kelbillet given the UK’s “fully grown transport market with a high level of competition between the different means of transportation and English is the universal language on the Internet so it provides maximum visibility,” in the words of Raoul.